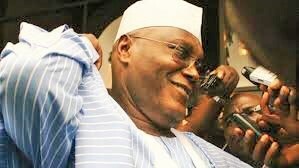 By Sadiq Umar – The Peoples Democratic Party (PDP) presidential flagbearer, Atiku Abubakar on Monday said 11 million Nigerians have been rendered jobless under the Muhammadu Buhari’s presidency since 2015. Mr. Abubakar said his investments policy will create a minimum of 2.5 million jobs annually and lift at least 50 million people from poverty in the first two years. The PDP presidential candidate while unveiling his 10-point policy document via the social media, in Abuja on Monday took a swipe on President Muhammadu Buhari’s job creating promises. “In 2015 Buhari promised to create 3 million jobs every year. Since 2015 Nigeria has lost 11 million jobs,” Mr. Abubakar taunted. He said: “I have years of experience creating jobs in energy, healthcare, education and agriculture. If you elect me as your President I will: Create millions of job opportunities in the private sector annually. “Encourage and foster business creation with National Entrepreneurship Development and Job Creation Programme, provide specific finance and strategic support for job creation in the entertainment industry and transform the culture and tourism sectors into one of the big earners of foreign exchange and job creation. Mr. Abubakar promised to increase private investments in road and rail construction, water supply and sanitation, power and oil refining and create Technology Support Programme to assist technological innovation and youth focused technology-based job creation. “When I was Vice President 1999-2007, I increased the power supply, built roads, and provided water and sewers to areas previously without,” he said, promising to create more jobs by increasing private investments in road and rail construction, water supply and sanitation, power and oil refining. According to him, “since 2015 farmers have been thrown into poverty and hunger has increased. Recently it was announced that Nigeria has become the second biggest importer of rice in the world. I have been a successful commercial farmer for over thirty years. Mr. Abubakar also promised to transform the agricultural sector into a viable enterprise creating rural wealth and prosperity for farmers.